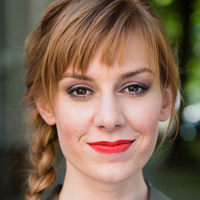 Eva Schulz (27) is a freelance journalist and presenter. She loves to experiment with apps and social media to find out how to tell stories on Twitter, Snapchat and the like. Currently she hosts “Deutschland3000”, a Facebook show that covers politics for a millenial audience. Prior to that, she co-created “Hochkant”, a Snapchat news channel for 14- to 19-year-olds. In 2009, Eva was listed as the youngest of the top 30 journalists under the age of 30 by “Medium Magazin”. HTML was my first foreign language. At the age of 9, programming empowered me to share my thoughts and ideas with the world, without limitation. Hence technology shaped the way I think, work, live – and continues to do so every day. As a Snapchat reporter, I’m curious to observe how European youth will use Spectacles, the Snapchat glasses, to communicate with each other and create new forms of playful, engaging content.